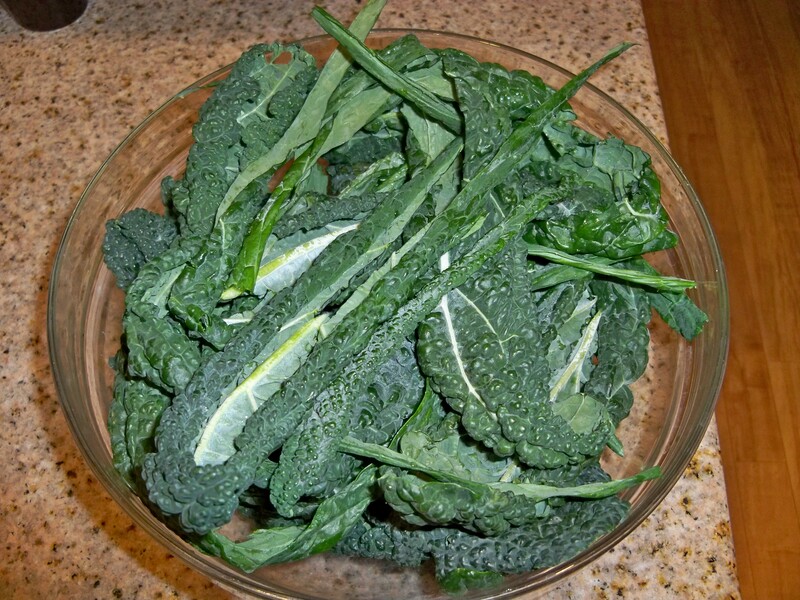 Wash and dry Kale then put in a bowl. Remove the hard center stalk by cutting close to the stalk and all the way down the stalk on both sides uTake two halves and stack them. Roll them then make 1 inch slices across to get nice bite size pieces.ntil hard center core is removed. 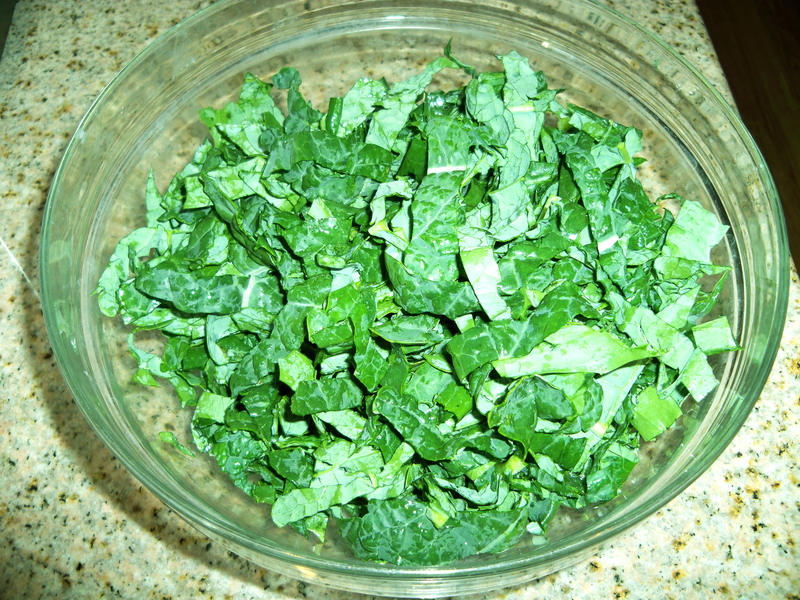 Once removed place washed kale pieces in bowl patting to dry. 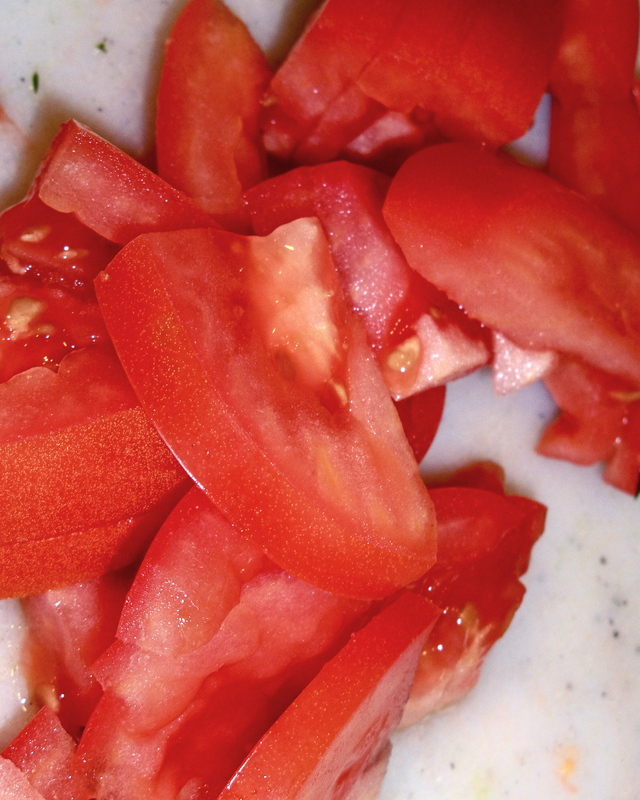 Next cut Roma tomato into pieces. 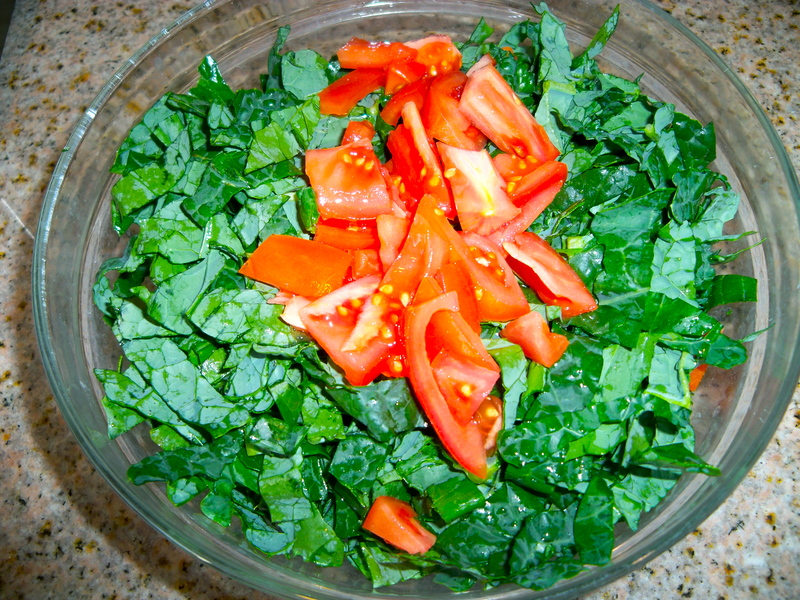 Take tomatoes and add to bowl of kale. 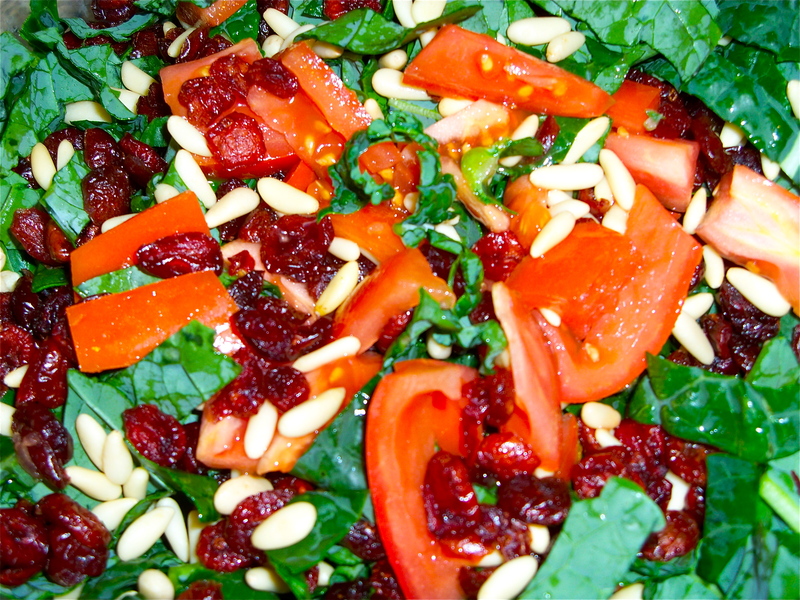 Next top with Cranberries and unsalted Pine Nuts. If you do not have these you can also use most other nuts like walnuts, pecans, or raw unsalted sunflower seeds. Take extra virgin olive oil, lemon, salt and pepper and whisk until well blended. Depending on your taste you may want to add more or less lemon, oil or salt and pepper. Add it to your liking. Dress salad pouring dressing evenly over it. 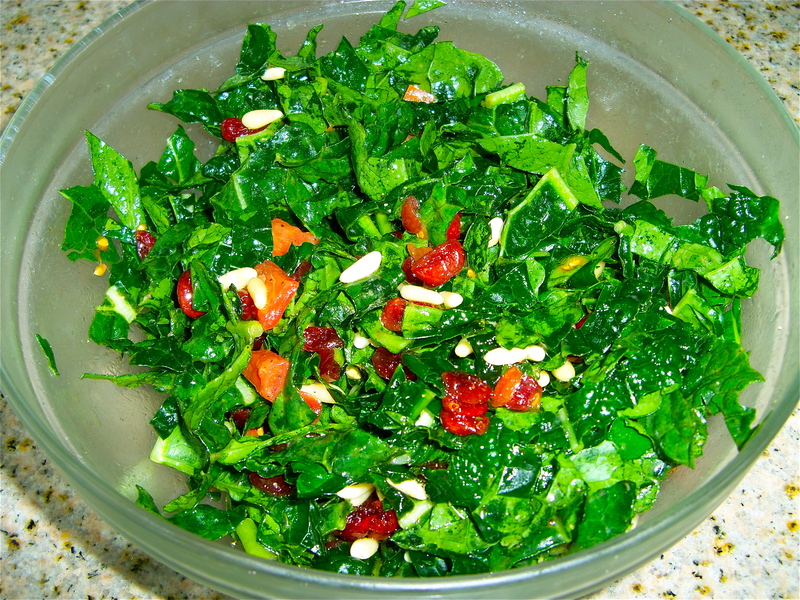 Toss so that dressing evenly distributes and coats kale well. Refrigerate for 10 minutes. Toss again and enjoy! If you are making this salad for two or one you can simply cut the recipe down into 1/4’s to make a smaller amount with ease. 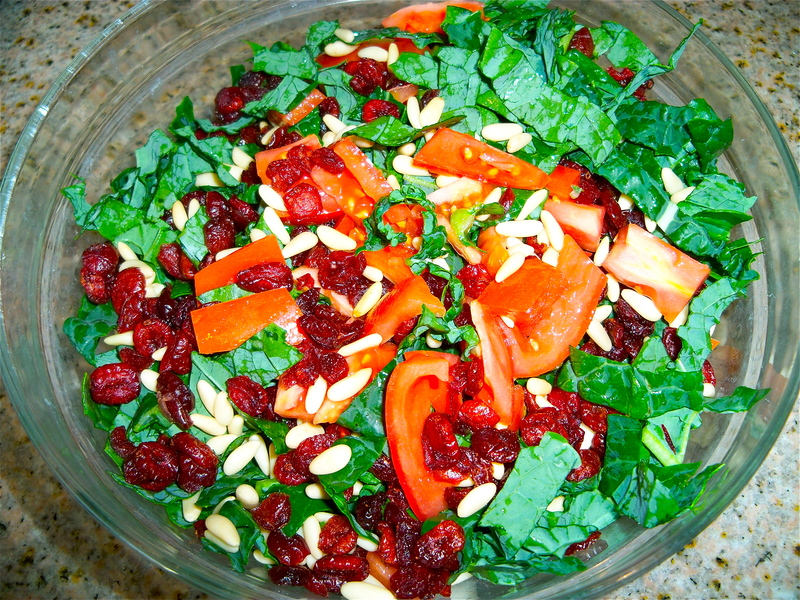 This super salad is packed with rich antioxidants and great nutrition loaded with good stuff for the whole family.